Western Sydney Parklands Trust has become noxious to Conservationists in Western Sydney. In the lead up to that announcement the NSW Government had been resuming land for the parkland. The 300ha former OTC site at Eastern Creek/Doonside (previously known as Bungarribee Estate) was included in the acquisitions. Conservationists had high hopes the 300ha former OTC site would provide an important flora and fauna habitat near the centre of the City of Blacktown. Our hopes were quickly dashed when personnel within the Department of Planning soon told us that 90ha of the site (and another area near Cecil Hills) would be set aside for housing development to pay for Western Sydney Parklands. Since then, the Board of Western Sydney Parklands Trust has developed a voracious appetite, cannibalising land which had earlier been said to be conserved, particularly in Blacktown LGA. To satisfy self interest, the Board of Western Sydney Parklands Trust has systematically sold off or leased land for financial gain which former Premier Carr said was “open space, never to be developed, a great part of our environment.” Also, what of those people who were forced off their land by the government under the pretence it was to become parkland yet today they see their former land holding sold off or leased for development – something previous land owners were denied? The latest and by no means last act of self serving by the Board of Western Sydney Parklands Trust is the leasing of land for the Sydney Zoo enterprise. The 16.5ha of land proposed for the Sydney Zoo enterprise forms part of an area free ranged by a mob of Eastern Grey Kangaroos – part of our natural heritage. It comprises an area in which Greening Australia (with the approval of the Department of Planning) brought in community volunteers to do native vegetation planting in past years. It is another excision of land from the former OTC site land for commercial gain and, when finished its parasiting, the Board of Western Sydney Parklands Trust will have set aside from the former 300ha only a skinny margin of Eastern Creek floodplain for flora and fauna conservation purposes. Indeed, the question is asked just how much land is conserved for flora and fauna conservation in Blacktown LGA which is not associated with the riparian margins or floodplain of Eastern Creek? Exclude Prospect Nature Reserve from that consideration because it was already conserved before Western Sydney Parklands Trust could get its ‘teeth’ into it. But not even that skinny margin of conserved land from the former OTC site will be protected from the ‘dead hand’ of Western Sydney Parklands Trust’s self interest. The plan for Sydney Zoo includes removal of part of the riparian margin and, in other areas, landscaping with overseas plants and grasses e.g. African grasses. It is not enough that a wealth of NSW Government grants over decades have been expended through agencies and community volunteer groups to reduce the adverse effects of African Lovegrass in the Sydney Region and now Western Sydney Parklands Trust, with the intended approval of the Department of Planning, is proposing to accommodate a landscape of African grasses alongside Eastern Creek. It is well known that creek lines are the most difficult and expensive areas to restore and maintain in natural state. Every rain inundation brings seeds from exotic plants and grasses into creek lines from surrounding development. After the ‘wash-in’ and depositing somewhere downstream the seeds germinate to produce weeds which are the bane of bush regenerators. Yet here it is, the NSW Government backing the self interest of Western Sydney Parklands Trust, about to approve an expansive source of introduced seeds alongside the riparian margin of Eastern Creek. Whether wind borne or carried through drainage into Eastern Creek these introduced seeds will be carried into Eastern Creek, potentially downstream into South Creek and potentially the Hawkesbury River. Somewhere along that route they be deposited and produce unwanted plant species. This is a disastrous regression in the administration of weed management in New South Wales. Is not Eastern Creek at least a Class 4 stream in terms of the Water Management Act? How close is development permitted to such a stream? How close can a development which is the active progenitor of weed species be to such a significant stream that is Eastern Creek which feeds into major agricultural and conservation areas of Blacktown and Hawkesbury LGA’s? What an abominable monster the Western Sydney Parklands Trust has become to the natural environment of the City of Blacktown. How could a semi-government agency become so far removed from the intention of the former Carr Government when announcing establishment of Western Sydney Parklands in year 2004? This is an indictment on the exigencies of government today. Environmental protection was better a decade and half ago than it is today. 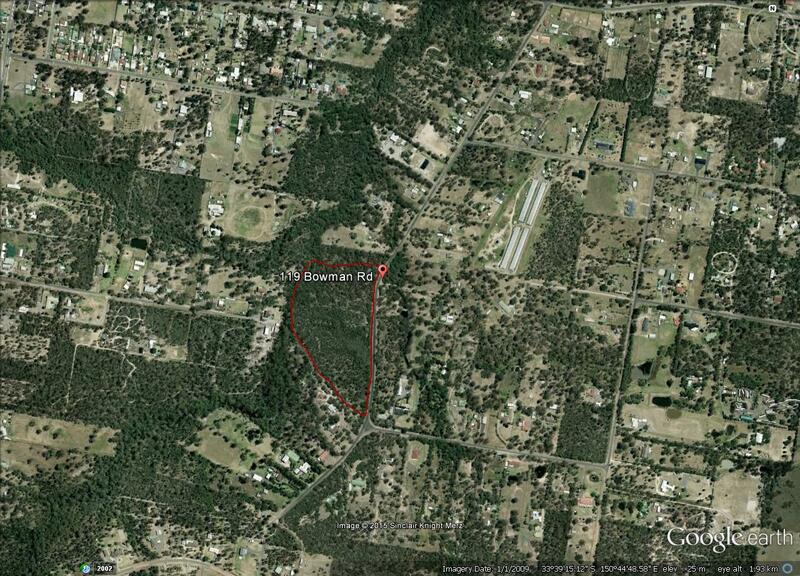 The Sydney Zoo proposal should not be permitted within the former OTC (Bungarribee) site, Doonside. The land should be conserved to honour the statement made to the public by former Premier Bob Carr when he said this land was “open space, never to be developed, a great part of our environment” when announcing establishment of Western Sydney Parklands. This entry was posted in Editorial on January 26, 2016 by Wayne Olling. Blacktown & District Environment group Inc is disgusted with the contempt shown by successive NSW Governments and, more particularly, the Western Sydney Parklands Trust with respect to the former Bungarribee site, Eastern Creek/Doonside. The Australia Zoo proposal is just more of the same. What was a 300ha open space flora and fauna habitat a decade and more ago, and much before that the historic “Bungarribee” has been carved up for money making ventures by the NSW Government and Western Sydney Parklands Trust, none of which ventures sustain or add to the natural and cultural heritage of Blacktown LGA; rather, they subtract. With respect to the natural heritage we are concerned that habitat and foraging space for our local bird populations and the mob of kangaroos on that land is to be further diminished. Also, the Australian Bass fish in Eastern Creek will likely be compromised, perhaps made extinct, from polluted drainage from the proposed Australia Zoo and other developments imposed or yet to be imposed by the NSW Government and Western Sydney Parklands Trust. It is all the more galling that former Premier, Bob Carr, and his colleagues when first proclaiming Western Sydney Parklands, said the parklands were “never to be developed.” Society has descended to immorality when government and its agencies do not keep their word. Why should anyone treat anyone honourably when lying is exampled by government? These are the first wisps of a whirlwind of anarchy which consequentially follows. In taking open space land from the residents of Blacktown the Western Sydney Parklands Trust offers as compensation the trinket and plaything of a zoo to amuse residents and to act as a salve to the real injury. Further, the area allocated for the zoo was the area where much pains were endured by the community in voluntary plantings and bushcare for Greening Australia. This decision for a zoo on that site just adds insult to the injury of contempt for the community as Western Sydney Parklands Trust derives income to keep its stipended personnel well supplied into the future. Shame on government and its parasitic agencies. This entry was posted in Editorial on September 14, 2015 by Wayne Olling. Harrington Forest Not Protected After All! In a disgraceful testimony to the degraded morality of government and the failure of the NSW Department of Planning and Environment to commit anything of worth toward environmental protection we now find Transport for NSW wants to run an extension of the South-West Rail Corridor through Harrington Forest. Harrington Forest was supposed to be the negotiated offset for extensive loss of flora & fauna habitat through the Harrington Park development some years ago. But that doesn’t seem to matter to those within Transport for NSW who believe any open space is fair game for their infrastructure projects. This is the trashing of morality and the trashing of Western Sydney. The mob of kangaroos and other fauna inhabiting Harrington Forest will end up with diminished habitat because of the rail line, if approved, dissecting the Forest. This entry was posted in News on July 3, 2015 by Wayne Olling. This entry was posted in News on April 30, 2015 by Wayne Olling. Details: A one day workshop looking at derived grasslands and their contribution to biodiversity on the Cumberland Plain. Subjects covered include ecology, threatened communities and identification of grasses and herbs. We will visit 3-4 sites with transport by minibus between sites. Limited to 20 places. *Please indicate if prefer Friday or Saturday. Enrollments & payment required by March 10th but note limited places and please contact Teresa in next couple of days about this one. Details: A one day field-based TEC workshop based on a similar workshop held in spring, 2014. The workshop provides an overview of TEC’s and associated plant species occurring In shale environments on the Cumberland Plain. We will look at vegetation patterns across the landscape and identify TEC’s using key diagnostic features. Several sites will be visited (by minibus) with rapid site/condition assessments conducted at some sites. TEC’s to be covered: Cumberland Plain Woodland; Moist Shale Woodland; Western Sydney Dry Rainforest and Shale Sandstone Transition Forest. Limited to 20 places. *Please indicate if prefer the Saturday or Wednesday. Enrollments & payment required by 1st April but note limited places. Details: A two day workshop to assist in identification of Shale Sandstone Transition Forest and explore natural variability within the community with particular reference to the revised final determinations at both state and national levels. Day 1 will include an indoor presentation and field sampling. Day 2 comprises a field excursion (by minibus) to several sites along the margins of the Cumberland Plain. Limited to 20 places. Expressions of interest are invited with confirmation required by 1st July. Details: A one day field-based workshop looking at TEC’s and associated communities occurring on shale and transitional soils within northern Sydney. We will look at vegetation patterns across the landscape and identify TEC’s using key diagnostic features. TEC’s to be covered: Blue Gum High Forest, Sydney Turpentine Ironbark Forest and the newly described (unlisted) Coastal Shale Sandstone Forest. We will visit several sites by minibus and rapid site/condition assessments will be conducted at selected sites. Limited to 20 places. *Expressions of interest are invited with confirmation required by 1st July. We can highly recommend these workshops. This entry was posted in News on March 2, 2015 by Wayne Olling. Blacktown & District Environment Group Inc endorses Cumberland Land Conservancy Inc in endeavors to increase the extent of flora and fauna habitat in the Sydney Bioregion. State and Local Government are declining to take land for conservation management from developers and business interests who set aside a portion of their land as an offset for bushland lost to development. Also, flood prone land in private ownership, with no development potential, is allowed to sit idle and prone to weeds. A risk also exists that a future government will dismantle environmental protection laws and conservation zones to permit development on what was originally a conservation offset for earlier losses. These lands need to be secured for conservation management in perpetuity. Scope exists for those land owners to remove those offsets from the parent land title and hand it over to a community land conservancy group to manage it for conservation in perpetuity. There are other scenarios by which CLC can obtain land for conservation management including donations of money or land from benefactors. CLC incorporated with the NSW Dept of Fair Trading in December 2014 and has commenced the process of meeting criteria for admission to the Commonwealth Register of Environmental Organisations to obtain status for receiving tax deductible gifts from donors. One criteria is a minimum of 50 financial members. You are earnestly invited to join what looks to be an exciting yet necessary initiative for flora and fauna conservation on the Cumberland Plain. Expressions of interests and enquiries can be lodged here. Tell your friends. At time of writing the website www.cumberlandlc.org.au has been delayed but is expected to operate within 10 days. This entry was posted in Initiatives on February 19, 2015 by Wayne Olling. This entry was posted in News on February 6, 2015 by Wayne Olling.